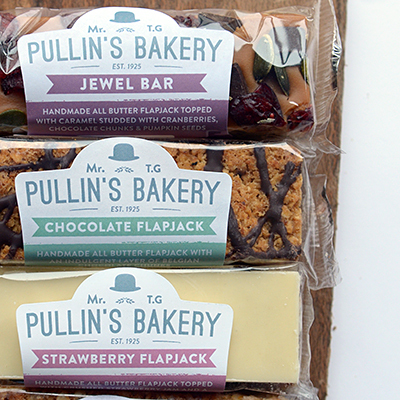 We make a huge variety of cake bars and flapjacks, which we wholesale to shops in Bristol, Bath and beyond. Every one is carefully handmade in small batches using top-notch ingredients. We don’t cut corners (excuse the pun) and take time to do things properly; like gently toasting the seeds and coconut in our deck ovens for the Granola Bar or hand spinning our Chocolate Flapjack.